Having already broken into the local jazz consciousness with last year’s Chapter 7 EP and the Sun-Ra informed Space Is the Place single, London five-piece Ezra Collective have dropped their anticipated Juan Pablo: The Philosopher EP, a heady collection of new wave jazz tunes. Ezra Collective are a good emblem for the revitalised London jazz scene that has become highly conscious of the interplay between the roots that soul and hip-hop have in jazz, including the late 2000s broken beat scene and the rediscovered (for the second time since the early 2000s) West African funky heritage. The EP opens with a sunny, psychedelic keyboard trill that composes itself and morphs into the afrobeat-style brass refrain that forms the centrepiece of opening track ‘Juan Pablo’. It continues throughout its blissful 23 minutes with a full-throttled dissemination of funk, atmospheric disco-esque rhythm and late night post-bop. The dynamism and craftsmanship on display here speak for an inner love of rhythm and jazz that’s been lacking in a scene saturated by real book purists and faux-pas cocktail bars. Juan Pablo: The Philosopher is bold, colourful and, dare I say, breakthrough: it’s something to get excited about. Ezra Collective are sure to be a solid reference point in UK jazz for the years to come. 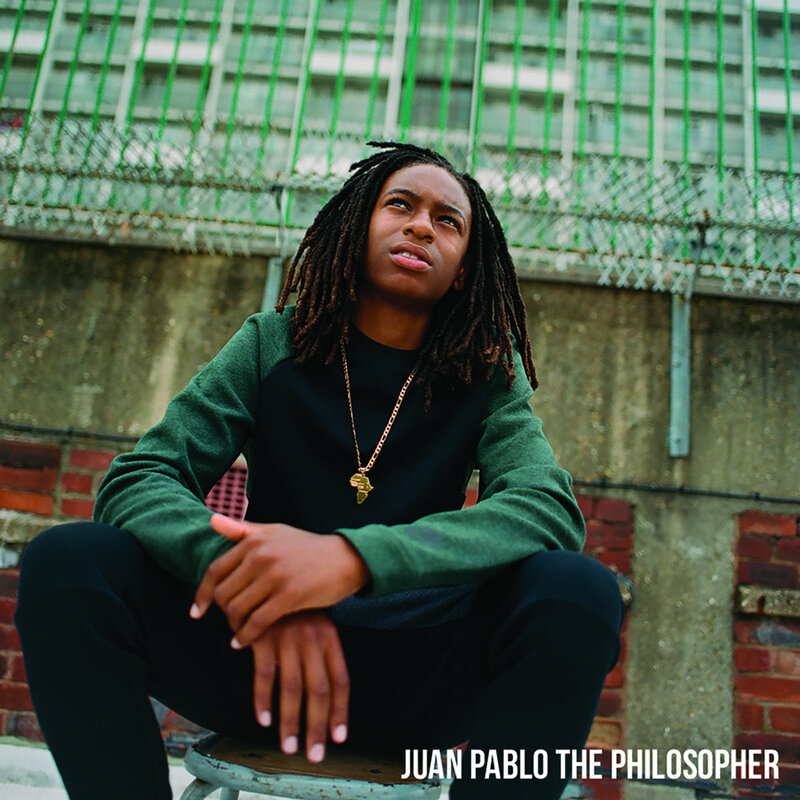 You can get Juan Pablo: The Philosopher on Bandcamp. 45turns tip: keep an eye out for a repress before the end of the year. If you’re that way inclined, like 45turns on Facebook for more cracking new music.